Steve Smith, a longtime racist leader, was elected to the Republican Party county committee for Luzerne County, Penn., for a second time yesterday. Smith first won the election in 2012 by writing himself in as a candidate for one of the two committee seats allotted to his district, Pittston City Ward 4. On Tuesday, Smith won 69 of the 73 votes casted for the Pittston City Ward 1 republican committee seat. Smith, 45, was quick to share his victory on Stormfront, the largest white supremacist online forum. “I won reelection to my position as a Republican committeeman in a landslide! I got 69 votes out of 73 that were cast!” Smith wrote on Wednesday. Recruited into the neo-Nazi movement in the 1990s, Smith has been active in an array of white nationalist, skinhead and neo-Nazi groups. 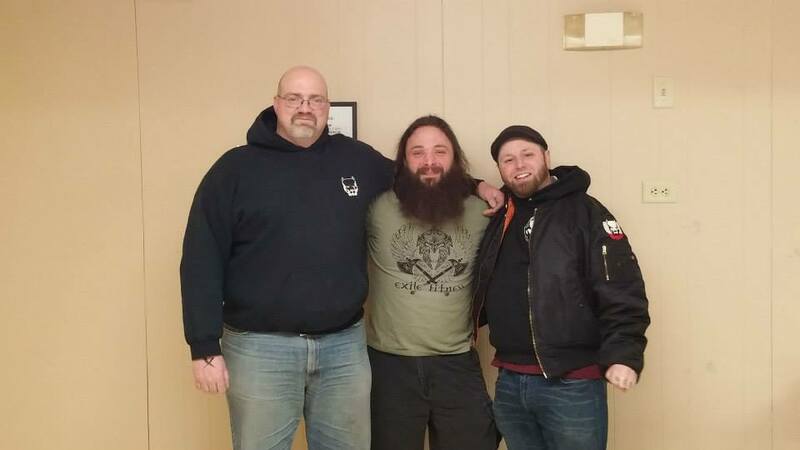 He co-founded the Pennsylvania racist skinhead group Keystone United (formerly Keystone State Skinheads) in 2001, one of the largest and most active single-state racist skinhead crews in the country. He was a member of the neo-Nazi group Aryan Nations and a former leader of the Philadelphia chapter of the National Association for the Advancement of White People, a group created by former Klan leader David Duke. Smith also served as the former state chairman for the American Freedom Party (formerly known as the American Third Position), a political party claiming to “represent the interests of White Americans and all Americans who support our interests,” according to its website. Most recently Smith co-founded the Pennsylvania-based group the European American Action Coalition (EAAC), an organization “founded in the fall of 2011 by a few well known White activists,” that “advocates on behalf of White Americans,” according to the group’s Facebook account. Smith and two other KSS members in March 2003 were arrested in Scranton, Pa., for beating Antoni Williams, a black man, with stones and chunks of pavement. Smith pleaded guilty to terrorist threats and ethnic intimidation and received a 60-day sentence.